A power driven drill bit and an extractor in one tool. Use with a 3/8″ variable speed reversible power drill to extract broken, rusted, stubborn bolts. No grinding or center punch required. Self centering tips work on jagged, uneven breaks. 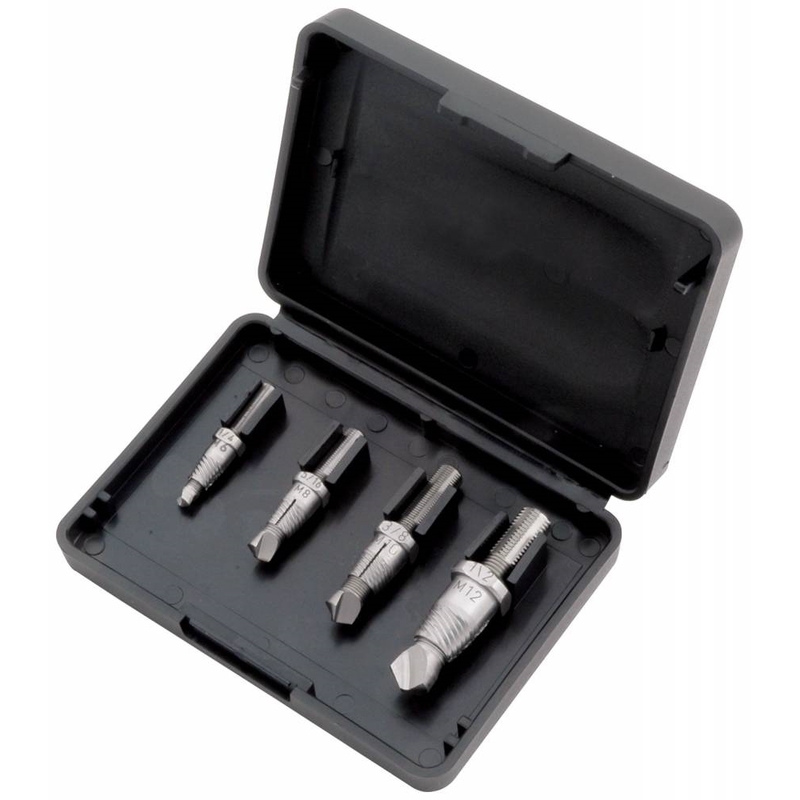 Four piece kit includes 1/4″ (M6), 5/16″ (M8), 3/8″ (M10) and 1/2″ (M12) bits.